The 2001’s juicy, peppery, meaty bouquet reveals notions of black currants, black cherries, tobacco leaf, and smoky barbecue. This expressive, medium-bodied, seductive La Mission has shed most of its tannin, revealing a gentle roundness. The wine builds incrementally in the mouth, finishing with impressive purity and length. Neither the biggest nor most flamboyant La Mission-Haut-Brion, it is a classic example to drink over the next 10-15 years while waiting for the bombastic, massive 2000 to evolve. 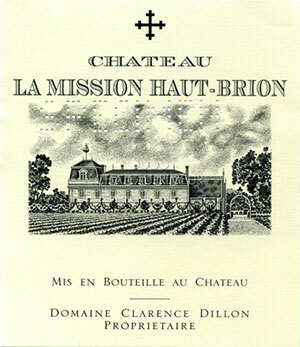 Perhaps one of the more overlooked vintages in recent years, the Château La Mission Haut-Brion 2001 is one of the finest wines of the vintage. Here, one is immediately taken aback by the precision exuded by the nose: small dark cherries and orange blossom still there, perhaps the mineralité more heightened than ever. The palate displays exquisite balance with nigh on perfect acidity, demonstrating more tension, if not the dimension of the 1990 tasted alongside. This is a serious La Mission for long-term aging. Tasted June 2014.